In May 2014, Brentford FC were promoted to the Football League Championship. It was only their second season at such a level, in sixty years, and many asked how the newcomers would cope against the so-called massive clubs Norwich City, Blackburn Rovers, Cardiff City and Leeds United. Would they survive? Would they thrive? Or, as many expected, would they fall short and crash back to Division One at the first time of asking? The 2014/15 season answered these questions in emphatic style with Little Old Brentford – the perennial underachievers – displaying a vibrant brand of positive, attacking football that took the Division by storm and rocketed the Bees into the playoff places. Under the visionary ownership of Matthew Benham and the ultimate man-manager, Mark Warburton, the club had created a new and different way of doing things that piqued the interest of the Football World. Rather than look downwards, the disbelieving but delirious Brentford supporters began to harbour dreams of reaching the Promised Land of the Premier League. In Ahead Of The Game, long-established supporter and blogger, Greville Waterman, puts together selected articles from his blog, alongside new content, to detail Brentford’s journey. He offers a fascinating and incredible inside story of how this unfancied team defied expectations, overcame the unforeseen break-up of the successful partnership between Benham and Warburton, did the double over Fulham, and came within a whisker of promotion. This book is a must-read for any Brentford fan and includes guest contributions from Cliff Crown, Richard Lee, Billy Reeves and Jim Levack. Whatever the future holds, it is clear that The Bees are truly Ahead Of The Game and the best is yet to come! Greville Waterman is a long-term Brentford supporter who has enjoyed all the good and bad times at Griffin Park and who can finally see light at the end of a very long tunnel. He was a director of the club for a brief spell in 2005 (don’t ask) and is currently on the board of Bees United. Greville owned a sponsorship consultancy for many years and now teaches Autogenic Therapy, a Mind/Body relaxation technique that helps people who are suffering from anxiety, stress and mild depression (see www.howtobeatstress.co.uk). Greville needed the help of AT after suffering the trauma of watching the Bees over a fifty year period! He is also Chief Executive of The Institute, a long-established adult education college in North London. Greville is married to his long-suffering and beautiful football widow, Miriam, and has two wonderful children, Nick and Rebecca; this book is dedicated to the three of them. Greville will be making a contribution to Brentford FC out of his royalties. 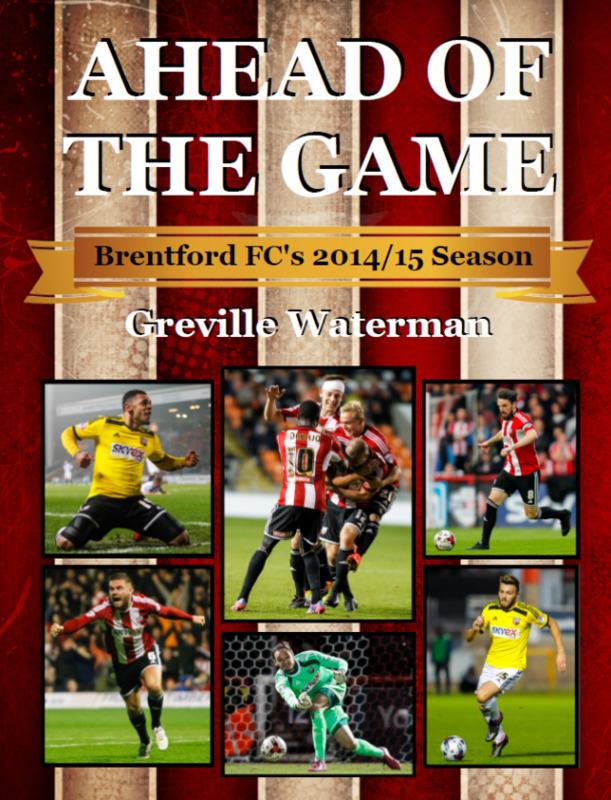 Book Categories: Brentford FC, Greville Waterman and Soccer.